New to our shop! These gorgeous bangles are great for layering or to wear on their own. 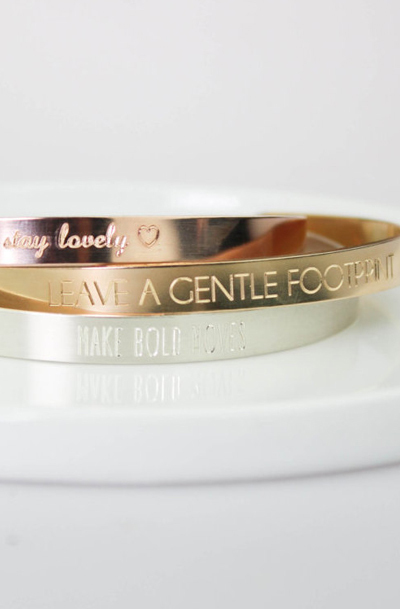 You can customize the bangle with your own special quote or message on both the front and back of this beautiful piece. Makes the perfect gift!